This entry was posted in Gardening and tagged cucumbers, lettuce, tomatoes on June 15, 2016 by Julie Riebe. 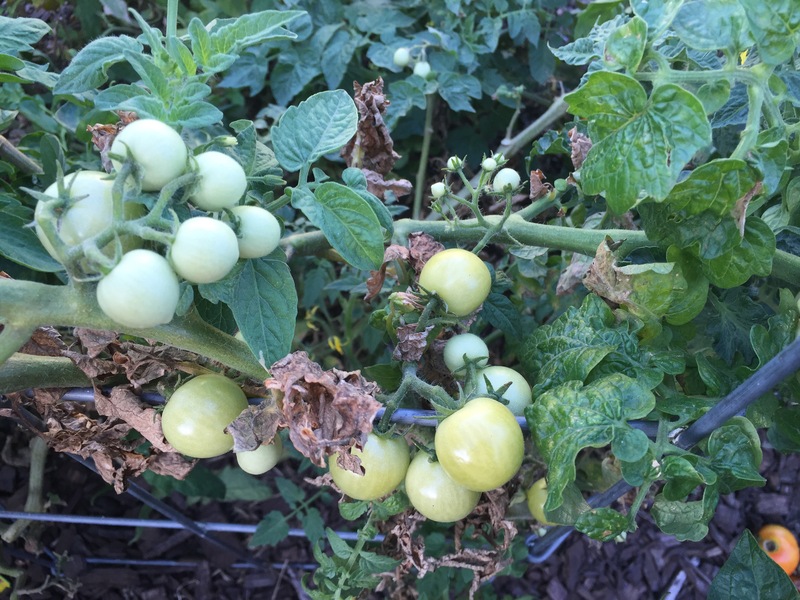 This entry was posted in Gardening and tagged lettuce, tomatoes on September 16, 2015 by Julie Riebe. 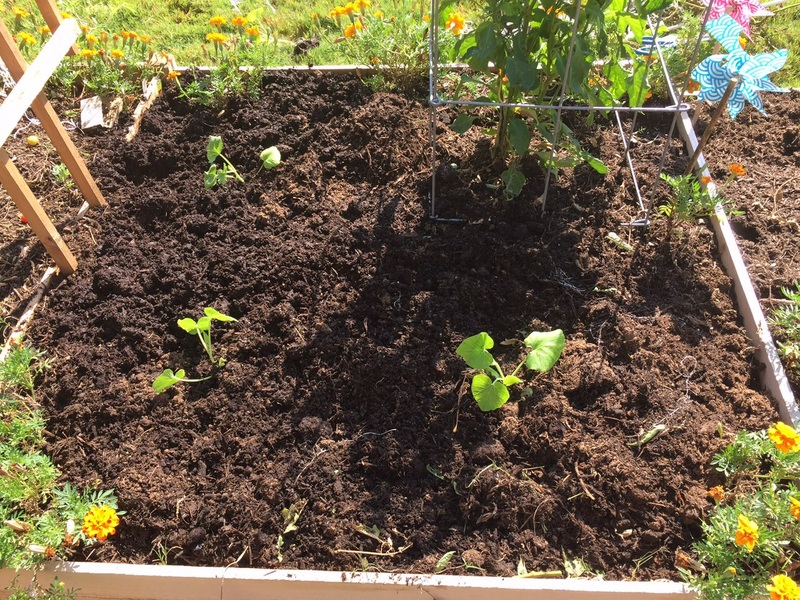 Three pumpkin plants now share a raised bed with several green pepper plants and a few marigolds. 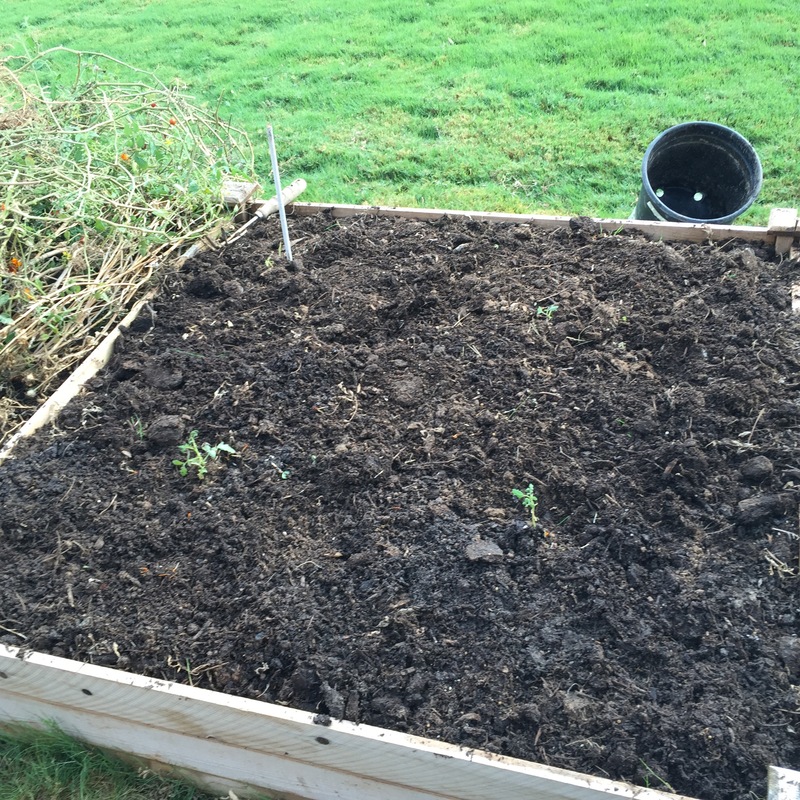 This entry was posted in Gardening and tagged lettuce, peppers, pumpkins, tomatoes on July 26, 2015 by Julie Riebe. 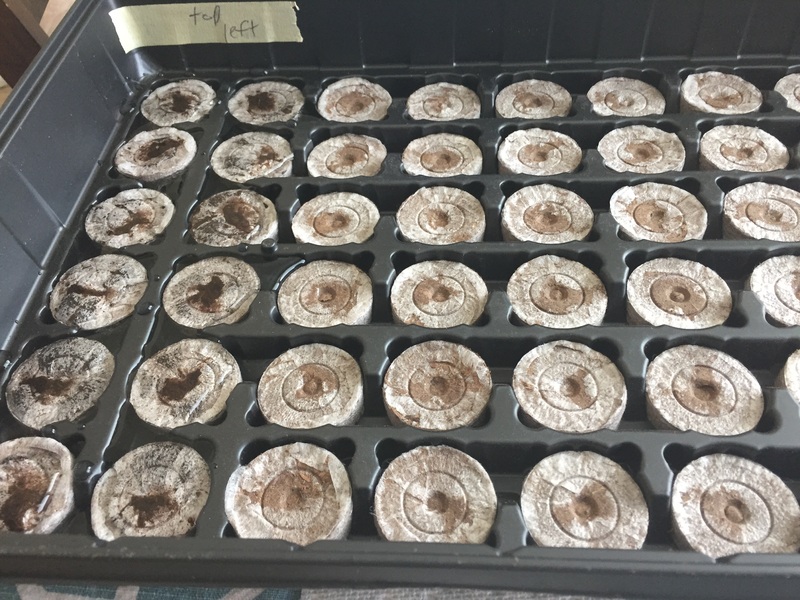 The good news is that a few more lettuce seeds have sprouted despite temps in the 90s and a lot of heat. The bad news is that it’s been 10 days since I planted all the seeds, and the pumpkins (below, center) desperately need repotting into bigger pots. No time for that tonight. Let’s hope tomorrow is better. 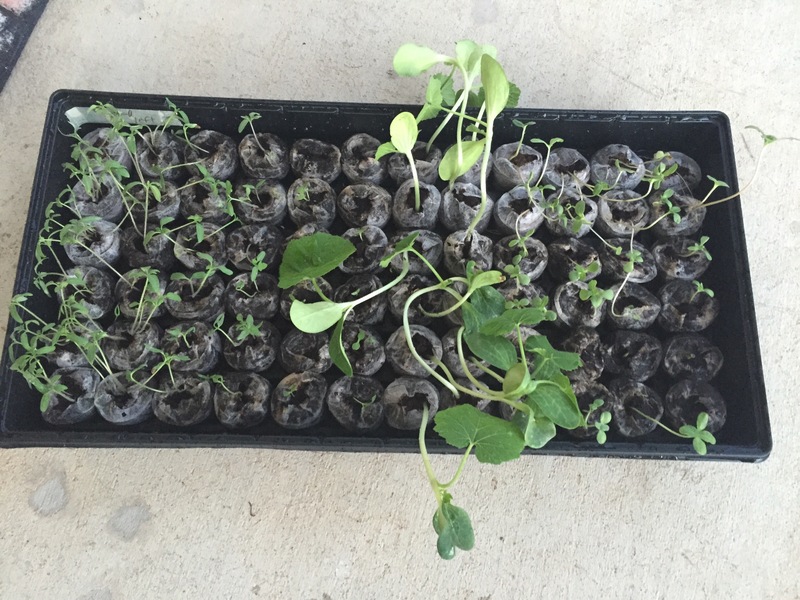 This entry was posted in Gardening and tagged lettuce, pumpkins on July 15, 2015 by Julie Riebe. 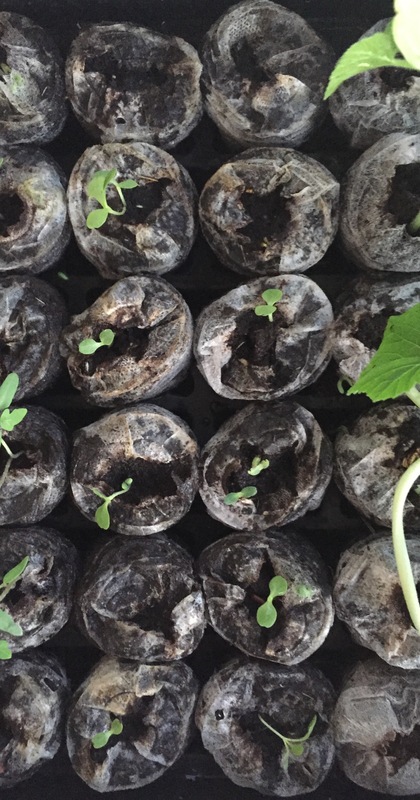 It seems weird planting seeds for a fall crop. I love Texas! This entry was posted in Gardening and tagged fall, lettuce, pumpkins, seeds, tomatoes, zinnias on July 5, 2015 by Julie Riebe. Salad with fresh lettuce from garden for supper. It was delish. 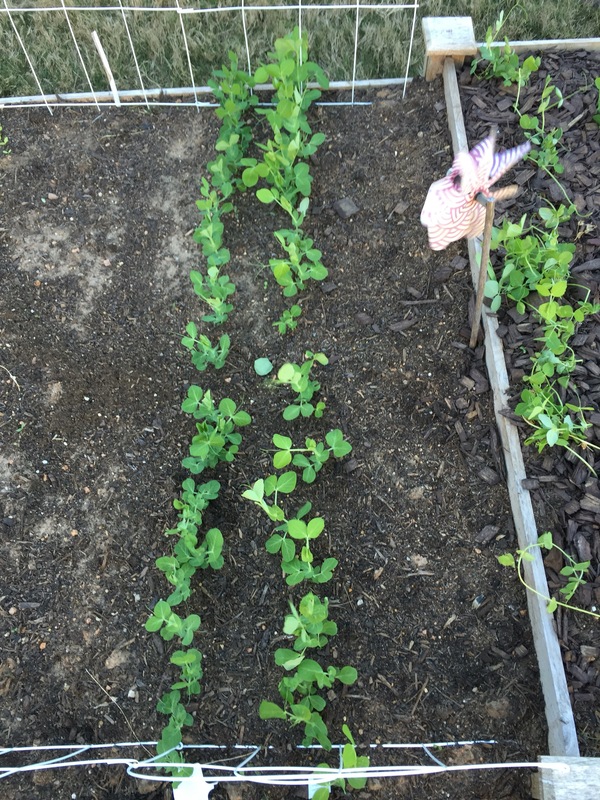 This entry was posted in Food, Gardening and tagged lettuce on April 20, 2015 by Julie Riebe.